With our roll slitting and stripping machines and roll conversion capabilities we can supply strips or rolls of many types of materials in custom widths, thicknesses and lengths. 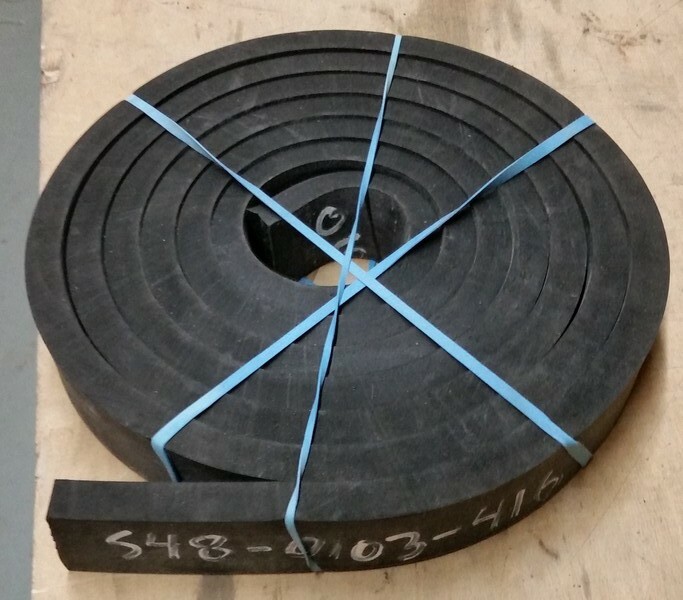 We also provide rubber and foam slitting services to 5” thick x 12-ft. long (with WJ). 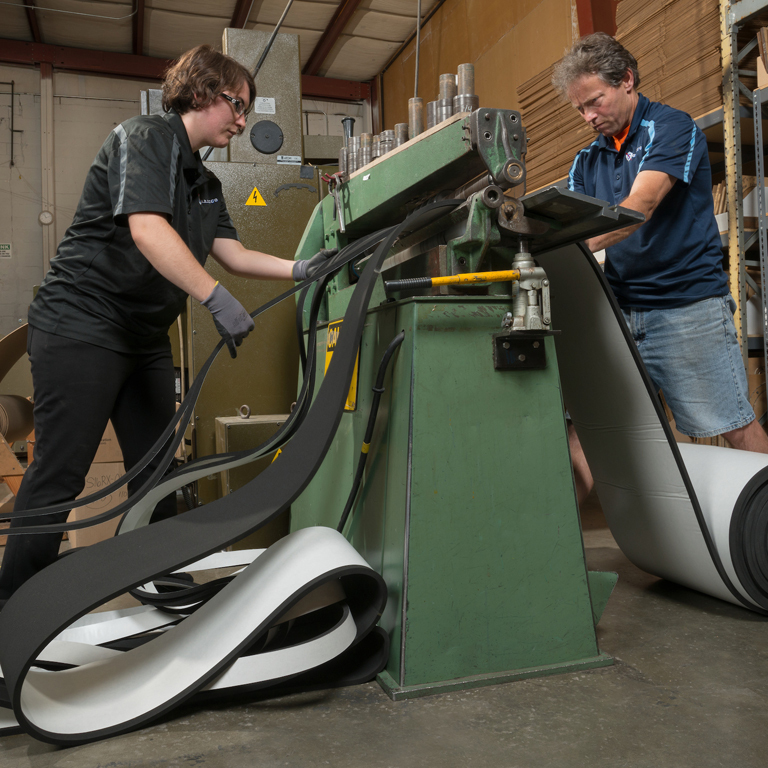 Call Gardico, Inc. for quick turn-around custom slitting services of foam strips with pressure sensitive adhesive for enclosure doors, gum rubber and neoprene strips and open cell foam core with solid neoprene coating for large hatch seals. We employ several types of slitting process technologies to create strips or rolls of a wide variety of materials in custom widths, lengths and thicknesses. 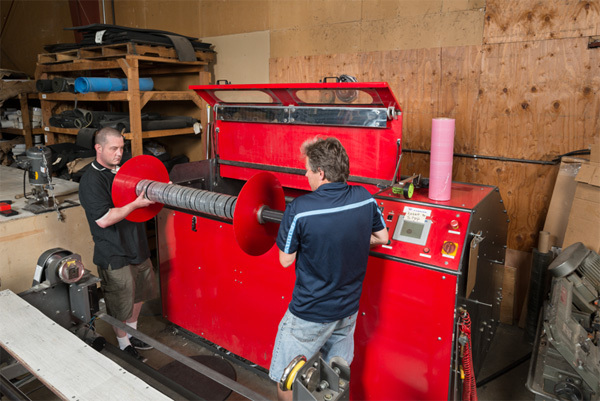 During the process of providing slitting services for custom fabrications we use a precision slitting machine to make sheet strips or rolls of differing widths, thicknesses and lengths. We have processes capable of creating rolls to tight width tolerances. Many of our materials such as foams, solid elastomers, felt and cork can be cut efficiently using this method with or without pressure-sensitive adhesive. Call to learn how we can assist you with custom slitting services that meet your specifications. Many of the materials such as foams, solid elastomers, felt, and cork can have adhesive (PSA) applied to the strips for ease of installation. We stand ready with our slitting machines and processes to provide quick turn-around conversion services that meet your needs.